We are now accepting your filled jars in the school office. 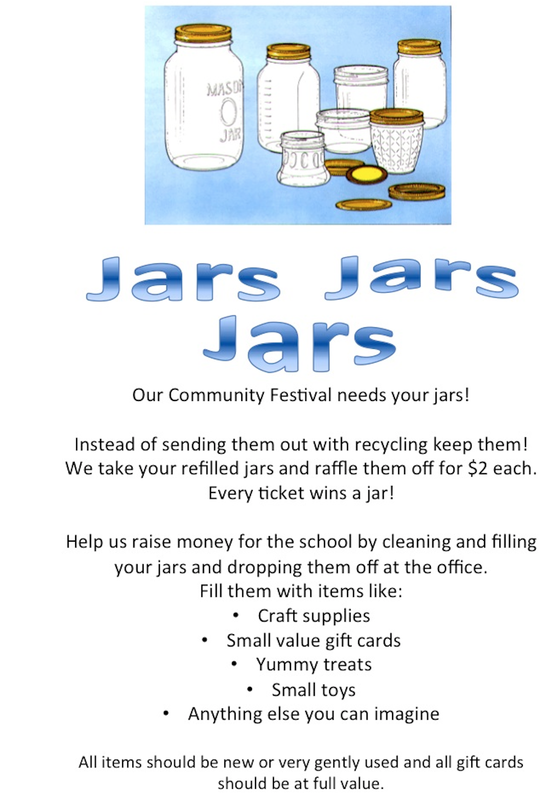 Empty jars are available outside the school office for taking home to fill with your goodies, if you are short on jars. Have fun filling them with all kinds of interesting items: Use Your Imagination!! Previous Previous post: Mark June 5th on Your Calendars!! Next Next post: New Event at the EH Festival: Bag-a-Bottle!